"Spatiotemporal variation of mammalian protein complex stoichiometries"
Recent large-scale studies revealed cell-type specific proteomes. However, protein complexes, the basic functional modules of a cell, have been so far mostly considered as static entities with well-defined structures. The co-expression of their members has not been systematically charted at the protein level. We used measurements of protein abundance across 11 cell types and five temporal states to analyze the co-expression and the compositional variations of 182 well-characterized protein complexes. We show that although the abundance of protein complex members is generally co-regulated, a considerable fraction of all investigated protein complexes is subject to stoichiometric changes. Compositional variation is most frequently seen in complexes involved in chromatin regulation and cellular transport, and often involves paralog switching as a mechanism for the regulation of complex stoichiometry. We demonstrate that compositional signatures of variable protein complexes have discriminative power beyond individual cell states and can distinguish cancer cells from healthy ones. Our work demonstrates that many protein complexes contain variable members that cause distinct stoichometries and functionally fine-tune complexes spatiotemporally. Only a fraction of these compositional variations is mediated by changes in transcription and other mechanisms regulating protein abundance contribute to determine protein complex stoichiometries. Our work highlights the superior power of proteome profiles to study protein complexes and their variants across cell states. 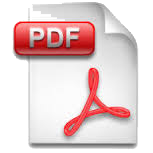 Additional file 1: Document containing supplementary Figures S1–S5 and their legends. Additional file 2: Table listing the protein complex resource. Additional file 3: Table containing the microarray data from 10 different cell lines used for the co-expression analysis. Additional file 4: Table listing the statistics of quantified protein complexes. Additional file 5:1: Table reporting the functional enrichment analysis of stable protein complexes. Additional file 5:2: Table reporting the functional enrichment analysis of variable protein complexes. Additional file 6: Table reporting the summary of quantified complex members and their regulation. Additional file 7: Table listing the co-regulated pairs of paralogous proteins. Additional file 8: Table listing the targeted proteomics assays used for quantification of NuRD complex members. Supplementary table lists all the buried surface area accessibilities and HADDOCK/CNS energies calculated for the available interfaces between protein complex members. Full simulations for individual entries are available for download using the links in the table. For further information about this analysis, please refer to our README. Bulk download for all the calculated interface properties and the full simulations. The analysis of variable protein complexes (VariableComplexes) was developed by Murat Iskar and Alessandro Ori (Bork and Beck group, EMBL). The source code used in the analysis of variable protein complexes is released under the GNU General Public License v3.0. The VariableComplexes is Copyright (C) 2016 Murat Iskar, Alessandro Ori, Peer Bork, Martin Beck and EMBL. 1883 visitors since February 24th, 2016.